Choose Art Center East for your event and meeting rentals! 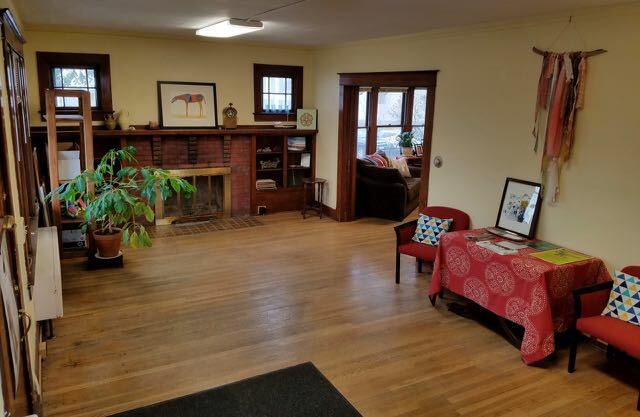 Whether for personal or business use, Art Center East offers a welcoming and beautiful space to host your guests. 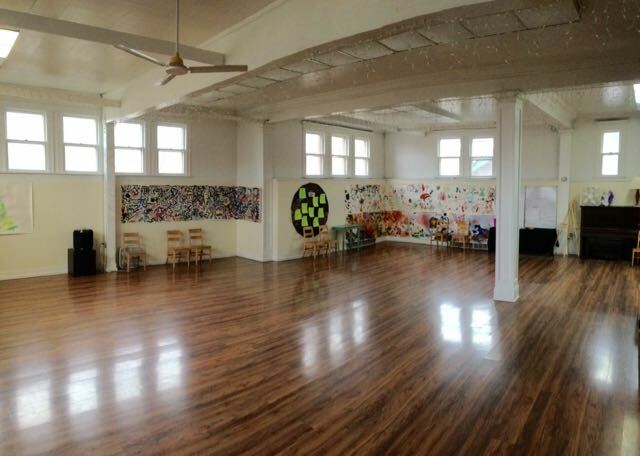 Interested in hosting your event at Art Center East? Call ACE for availability and information at(541)624-2800. ACE Co-op Gallery - The Co-op Gallery is the side of our upstairs facilities that we reserve for movement and dance classes, as well as gallery talks and performances. While there is often art on the walls, the floor space is always open. Can fit up to 80 people seated at tables, 100 audience chairs, or 150 people in a standing reception. A privacy curtain is available to close the space off, if desired. 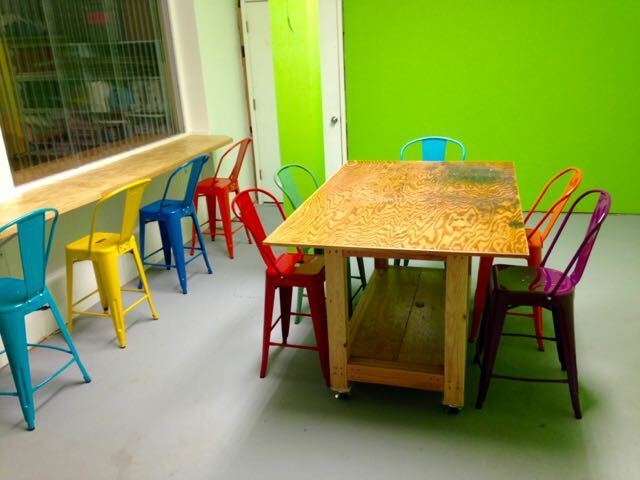 Some tables and chairs are available upon request; please inquire for more information. ACE Community Room - Downstairs, our Community Room is a bright, cheerful, and intimate space that's perfect for small groups - host a book club meeting, small shower, craft group, or get out of the office for your next strategic meeting. 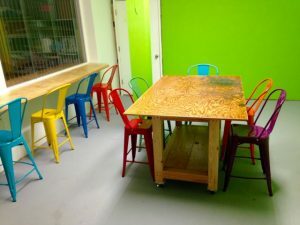 The Community Room has chairs, table, and counter space to seat up to 10 people. 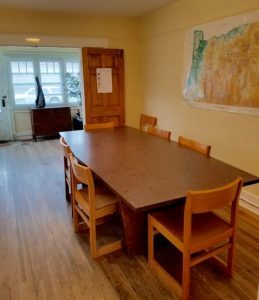 ACE's EOU Campus Boardroom and Parlor - At our EOU campus location, we have two charming rooms in a historic house located at 6th Street and "L" Avenue. The Boardroom has a large table that seats up to 10 people. The Parlor is perfect for standing receptions or small group meetings. Both rooms have access to a kitchenette (sink, some counter space, small fridge, *no stove or oven). Some additional tables and chairs may be available upon request; please inquire for more information.